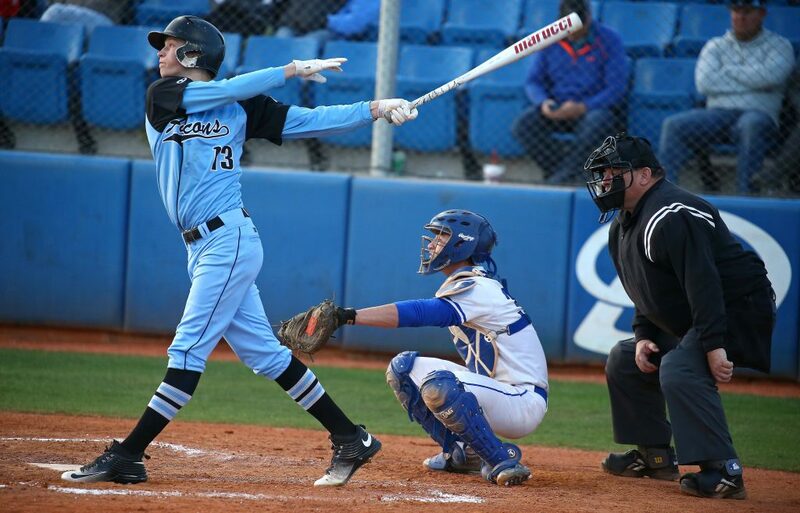 ST. GEORGE – Region 9 baseball is definitely seeing some stratification as we pass the mid-point of the region season. 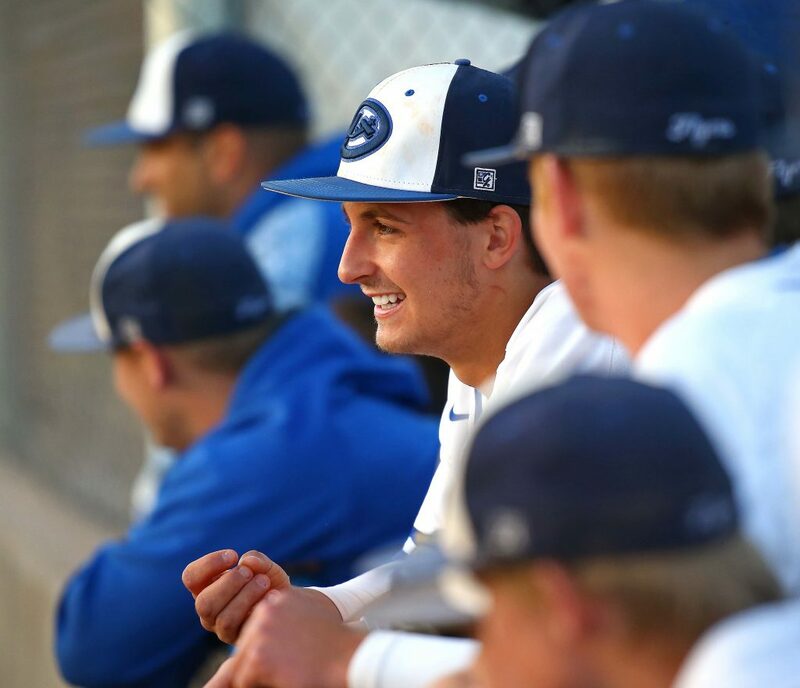 At the top, Dixie (which beat Canyon View Friday night) and Snow Canyon are unbeaten and headed for a possible winner-takes-all series at the end of the season. In the middle, three dogs are fighting over what amounts to two bones, with Desert Hills (which beat Hurricane Friday night) a leg up on both Cedar (which beat Pine View Friday night) and the Panthers. Anyone looking for a moral victory, there were a couple in this game. For the Flyers, they found out they can not play very well and still get a win against a quality opponent. For the Falcons, well, taking Dixie the full seven innings for the second game in-a-row is no small feat. After all, the Flyers have mercy-ruled their opponents nine times this year. 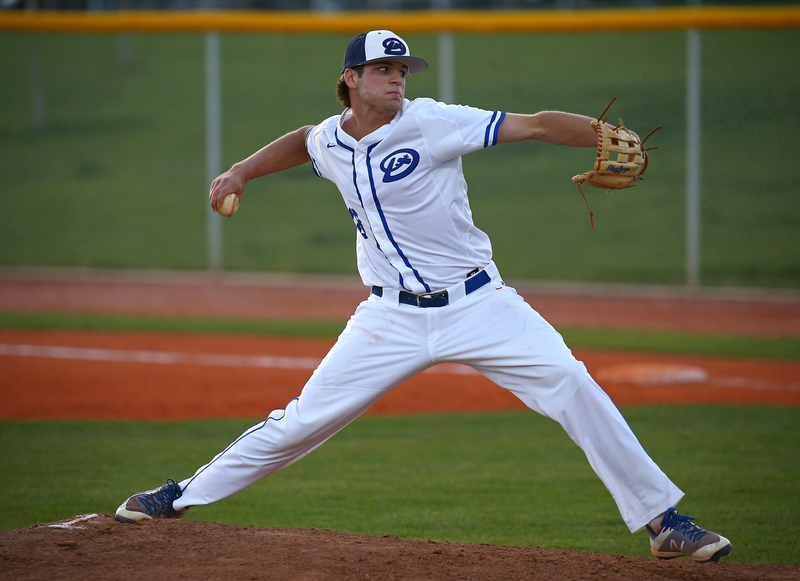 But, moral victories aside, Dixie improved to 17-2 overall and 6-0 in region play with the home win Friday night. Dixie scored two runs in the first, one in the second, one in the third and two in the fourth to pull out to a 6-0 lead. But the Flyers also left seven runners on base in that stretch and never did quite break the game open. Lundin’s triple to the gap in left-center was part of a two-run rally in the bottom of the first inning. With Tyson Fisher on the mound (earned run average 0.27), that would likely be enough to win it. But the lead kept growing the first few innings. In the second inning, Hobbs Nyberg blooped a single into right field to score Wyatt Woodland and make it 3-0. It went to 4-0 when Kayler Yates scored on a Canyon View error in the bottom of the third. Dixie added two more runs in the fourth on an RBI by Payden Harrah and a passed ball that scored Asher Anderson. But Fisher wasn’t perfect. He issued three walks in the first four innings (after surrendering just six walks all season) and gave up a base hit to Tristan Graff in the third. 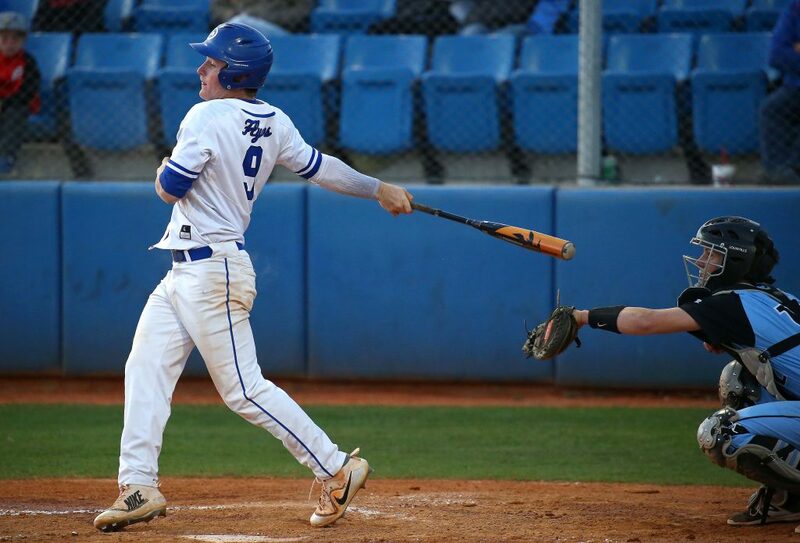 The Falcons then chased Fisher from the game by scoring a run on a walk and two hits in the top of the fifth inning. Trevor Farrow had the RBI. 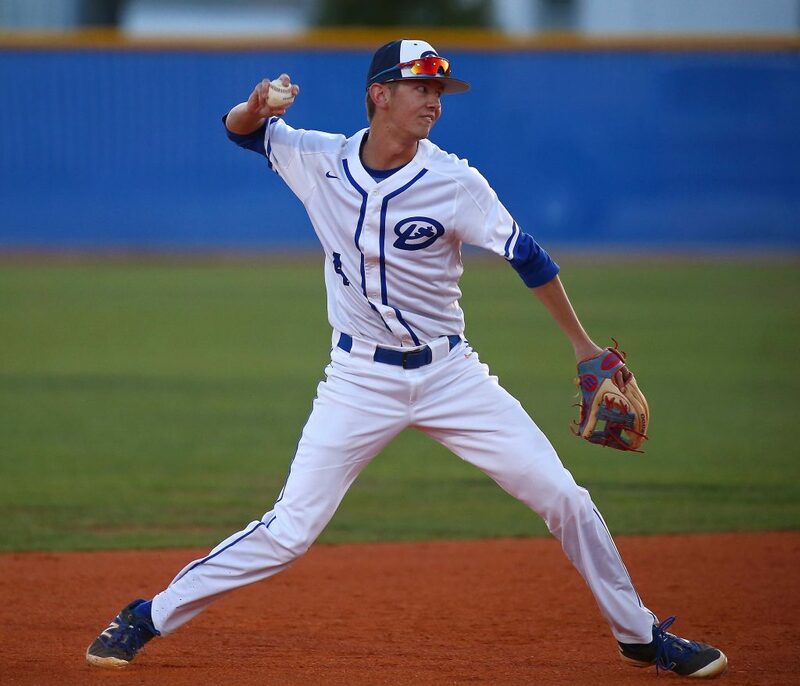 Kayler Yates came on to finish the game for Dixie, but he gave up a hit, two walks and a hit batsman in his two innings of work. In fact, the Falcons got the bases loaded in the top of the seventh with two outs before Yates got a strikeout to end the game. 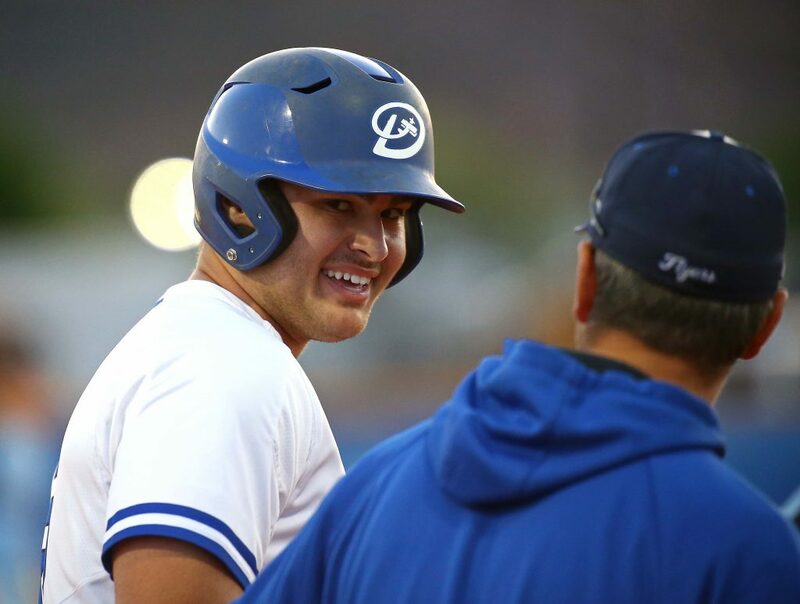 Lundin and Payden Harrah led Dixie with two hits apiece. Region 9 batting leader Fisher was walked three times in the game, two of them intentionally. He also got the win on the mound, allowing three hits and a run in five innings. 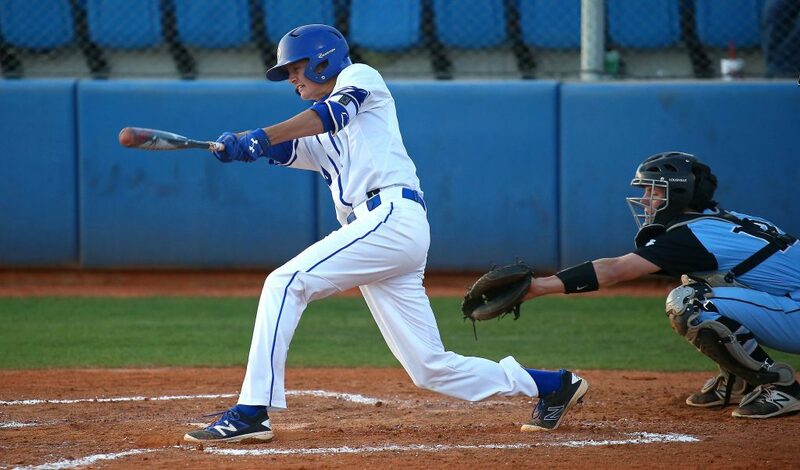 Nyberg and Harrah both stole two bases as Dixie improved to 17-2 overall. The Flyers play Cedar in a two-game set next week, starting Tuesday in St. George. The Falcons have a region bye next week. Five different Thunder players had at least three hits, including Sam Rhoton, who was 4 for 5 with four RBIs. D-Hills scored six runs in the first inning, nine more in the second and then iced the game with three more runs in the top of the fifth. Bryker Hurdsman and Bronson Andrus also had monster games, with Hurdsman collecting a single, a double, and a triple, and Andrus doing the same. Hurdsman had a career-high five RBIs, while Andrus knocked in four runs. 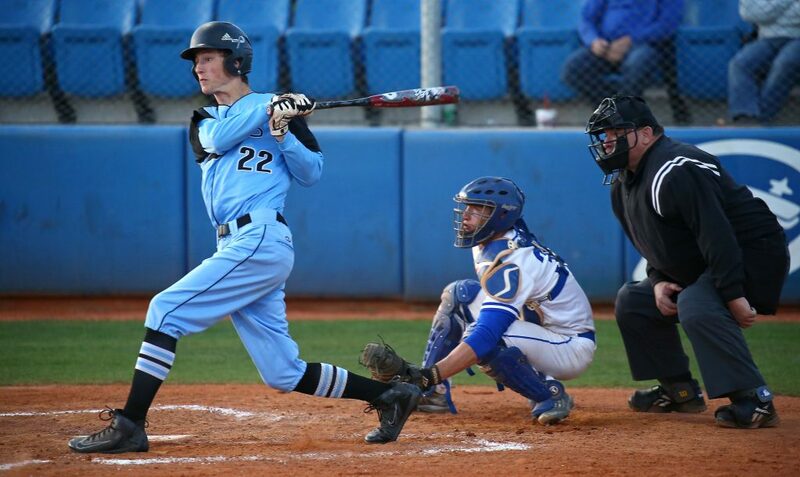 Drew Thorpe and Trey Allred also had three hits apiece for the Thunder, who are in third place at 5-3 in region play. 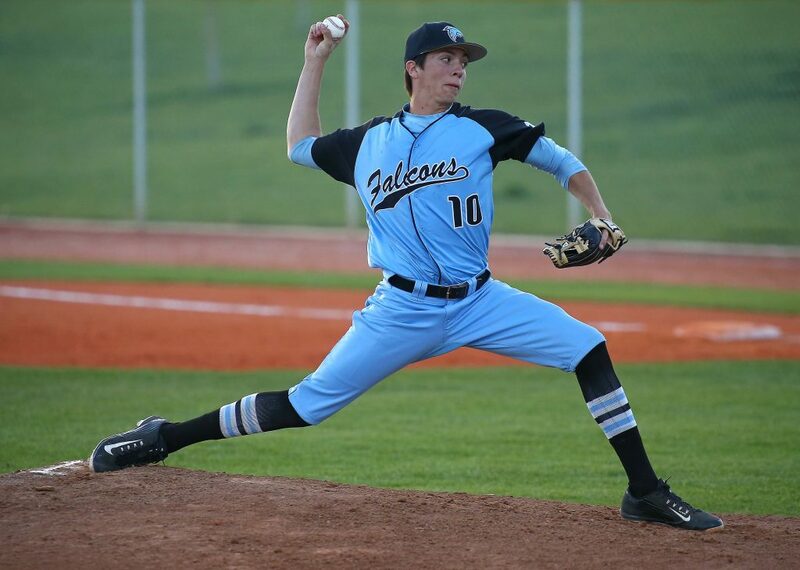 Thorpe threw the first three innings for Desert Hills, allowing one earned run on three hits. Dallen Turner and Lance Kinross each pitched an inning of relief. D-Hills jumped on the home-standing Tigers right away. In the top of the first, Andrus ripped a three-run double to start the scoring. Hurdsman’s triple chased Andrus home, then Jayden Peterson also tripled to make it 5-0. A sac fly in the same inning scored another and made it 6-0. Hurricane got one back on an RBI triple by Kage Akipoleka in the bottom of the first, but an Andrus triple brought home a run in the top of the second to make it 7-1. Hurdsman socked a two-run double to make it 9-1 and the floodgates were wide open after that. The Thunder ended up with nine runs and seven hits in that second inning. 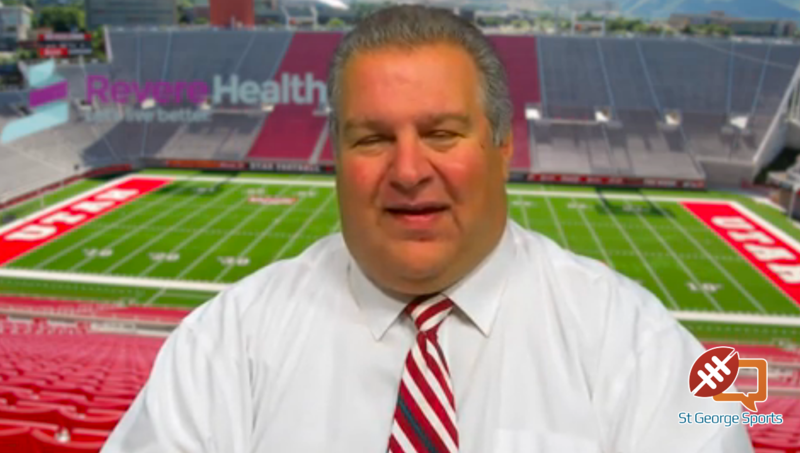 Desert Hills finished with 19 hits in the game. Hurricane had three. DH also stole four bases and drew five walks. The Thunder, 12-4 overall and ranked No. 3 by the northern Utah media, battles Pine View next week, with Tuesday’s game at Thunder Field. 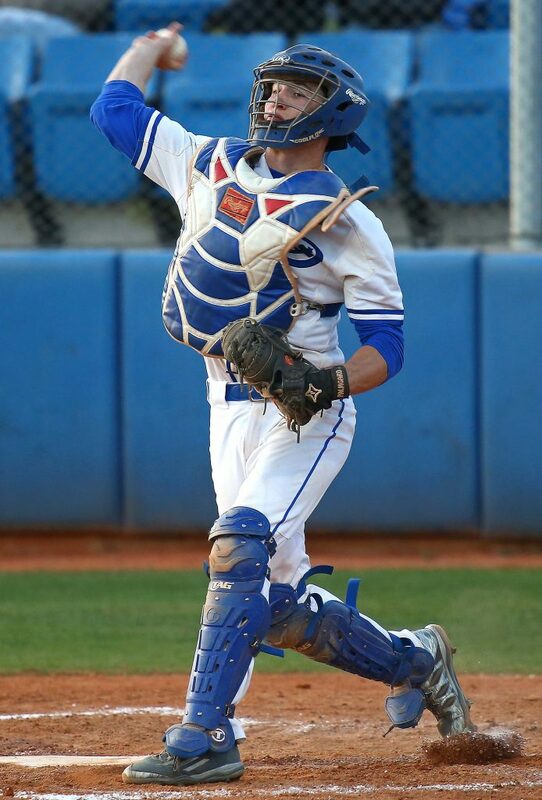 Hurricane, 7-10 overall and 0-6 in region games, battles Snow Canyon next week, starting Tuesday at Tiger Field. The Redmen scored 11 straight runs in the middle part of the game to pull away for the win. Pine View led 1-0 after a Cedar error in the top of the first. The score stayed 1-0 until the bottom of the second inning. Cedar got two runs to take the lead on a Pine View error. Korby Myers and Luke Maggio hit consecutive RBI groundouts to make it 4-1 before the inning ended. Cedar got five more runs in the bottom of the third. The big blow came in the form of a bases-loaded triple by McClain Anderson. It was 11-1 before Pine View finally scored again. Dawson Staheli knocked in a run to make it 11-2 and PV added two more in the top of the sixth, but could not get any closer. Tanner Eyre pitched all seven innings for Cedar, recording the win while striking out five Panthers. He allowed seven hits and two earned runs. Markus Johnson and Bridger Bunnell led the Redmen with three hits each. 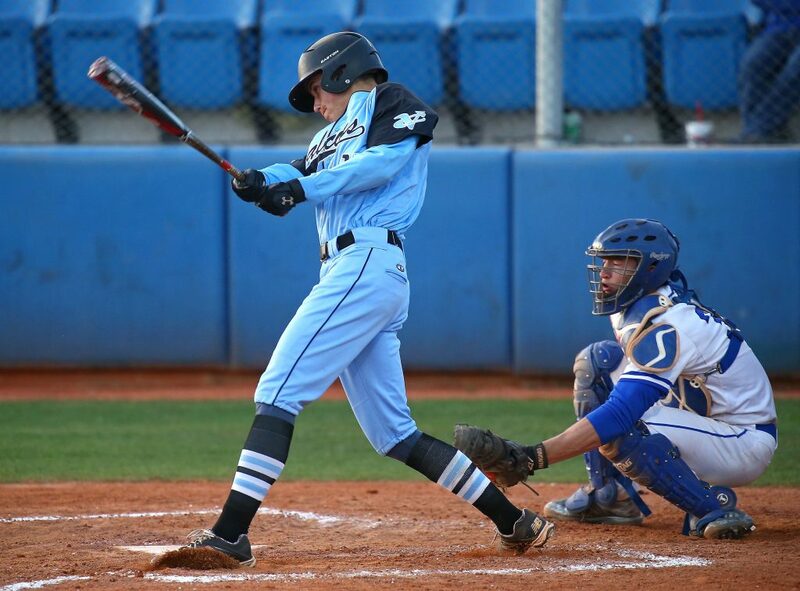 Porter Dombrowski and Roman Lafemina had two hits each for the Panthers. Pine View, 10-4 overall and 3-3 in region, battles Desert Hills next week. 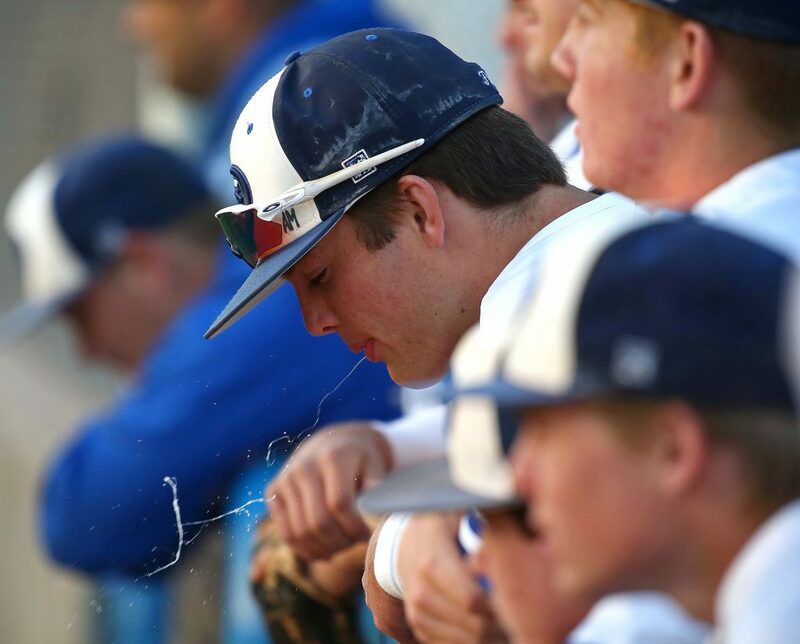 Anderson and Jake Jenkins had three RBIs each for Cedar, which plays Dixie next week. Cedar is 9-8 overall and 4-4 in region play. Pine View at Desert Hills, 7:30 p.m. Snow Canyon at Hurricane, 7:30 p.m.
Cedar at Dixie, 7:30 p.m.